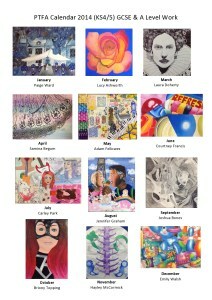 The PTFA have put together 2 calendars of students’ artwork to sell to our school community. 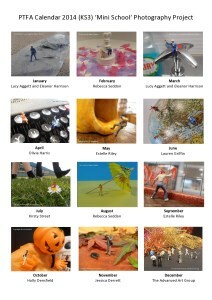 Students who have work that features in the calendar have already bought a number of copies. We are selling the calendars in school at a discounted price of £4 this term to put up in your classroom. They can be purchased from B45 with all profits going to support the Duke of Edinburgh Award Scheme, run currently in school. We would really appreciate your support and would ask you also to encourage members of your form groups to buy the calendars. Above is a summary of what is in each of the calendars we have on offer. Each copy consists of a page for each month and includes the school holiday pattern.